The MakerBot Replicator 2 3D printers are not among the most affordable ones and yet they do not have features in their build that more affordable devices on the market have by default. 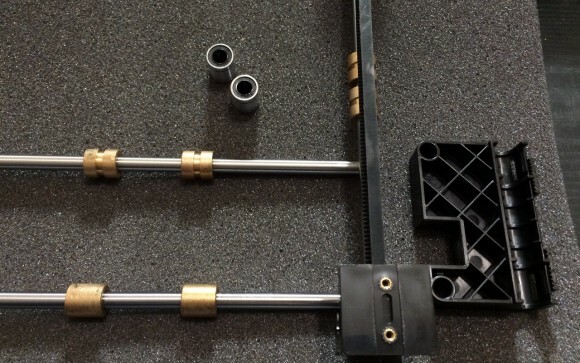 One such thing is the fact that the Replicator 2 3D printers rely on bushings instead of linear bearings for their moving parts along the three axes. While the use of bushings does work pretty well in the long term it could lead to reliability issues, so we have decided to try replacing them with linear bearings – something that needed some research and has turned out a not so easy task to do. What you should be aware of is that the replacement of the bushings with linear bearings should not lead to improvements in the quality you are getting, unless of course if you’ve already had some issues with the bushings. 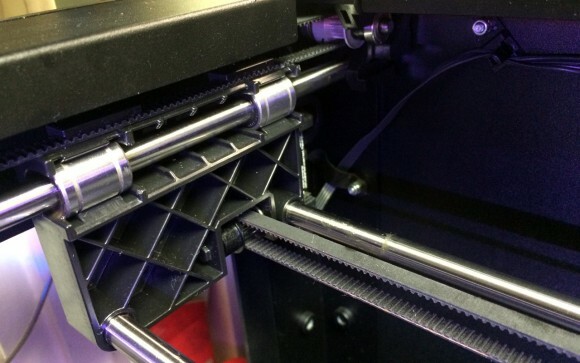 The total number of bushings that you need to replace on the MakerBot Replicator 2 with linear bearings is 8 + 4 or 12 in total – there are 4 on the extruder head, and 2 on each side along with 4 more for the build table that moves along the Z axis. We are saying 8 + 4, because all of the bushings and respectively the linear bearings that you will need are different in size. The bushings for the Z axis or the build plate are actually with a bit larger size and we are still having trouble finding suitable linear bearings to replace them, so we actually changed only the 8 other bushings. 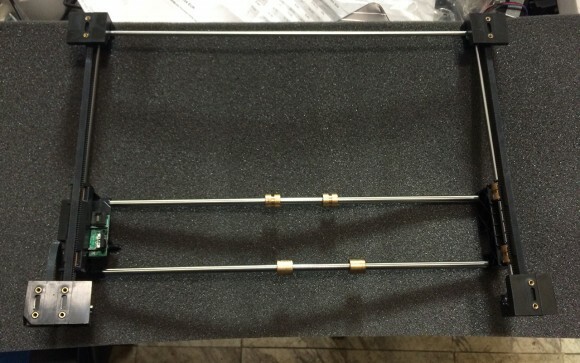 To replace the bushings that are used for the X and Y axis movement you will need 8 linear bearings that are marked as LM8SUU that are with a size of 8x15x17 mm (the actually used bushings are 1 mm shorter at 8x15x16 mm, but that is not a problem). The LM8SUU are the short version of the LM8UU bearings that will simply not fit in the MakerBot Replicator 2 as they are too big, so be careful that you choose the right model. The two bushings on the back for the build plate movement along the Z axis are with larger inside diameter, their size is 10x15x16, so the LM8SUU linear bearings won’t fit there. Unfortunately we are still not able to find a linear bearing with larger inner diameter and the same outside specifications (10x15x16 mm or 10x15x17 mm) as the LM8SUU to replace the two bushings along the Z axis, so we’ve settled only with installing linear bearings along the other two axes. The disassembly of the X and Y axis movement mechanism is not that hard and you can repetitively quickly replace the bushings with bearings (you detach the whole mechanism from the top of the printer), unlike the more complex and hard to do disassembly of the moving mechanism along the Z axis. But as we’ve said the different bushings used along the Z axis and the act that we were not able to find suitable linear bearings to replace them, so there is no need to disassemble anything there anyway. One interesting things that we have noticed is that the bushings used for the extruder head were a bit different 2+2 in terms of visual appearance, but apparently also in terms of tolerance. The same goes for the bushings on the two sides, they are again 2+2 in terms of visual difference and tolerance, meaning that the ones with a bit larger tolerance move more freely as compared to the others. We have not noticed any difference in the behavior of the Replicator 2 after replacing them all with the same type of linear bearings, so we are not sure if there is a reason to use slightly different bushings and mixing them.